Buying a home is, for most people, the biggest single investment they will ever make and their most valuable asset. Before you make such a purchase, you will have an opportunity to sit down with your mortgage lender and discuss the options available to you. This is your opportunity to ask all the right questions and get the answers that will serve you well for years to come. Let’s take a look at the top 10 questions any prospective borrower should ask of their home mortgage lender. 1. Which Mortgage Is the Best Fit for Me? Your lender should be able to assess your best loan after you have completed a mortgage application that may be rather lengthy but will offer such information as your employment history, income information, assets and liabilities, and so on. A copy of your credit report will also be required and your lender will pull one for you. 2. What types of mortgages do you offer? Each of these mortgages may vary in the amount offered, difficulty and guidelines in qualifying, length and payment types, and interest rates. 3. What documents will I be required to provide? Generally you will need to show proof of income, proof of assets such as bank statements and automobile titles, and information regarding your credit history. 4. What are the detailed costs of my loan? You should be given a written Good Faith Estimate (GFE) that will provide a line by line estimate of the cost of your loan. Using this GFE you will be able to compare costs of borrowing with other lenders. 5. When will I receive a copy of the HUD-1? The law states that you have a right to receive this copy within a day or two prior to the close of escrow. You may also ask your escrow officer for a copy of this document. 6. 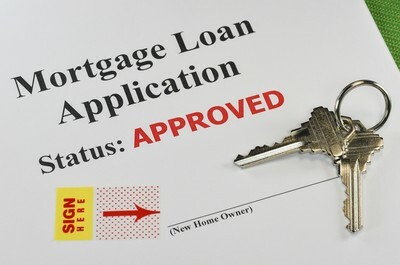 What can I do to help the loan process go smoothly? • Fully complete every document that is required of you. • Do not open any new accounts, cosign on anything, change jobs or change careers during this process. • Peruse your credit report for any possible errors or inconsistencies. • Be available in case your lender needs to reach you to ask questions. • Prepare to answer or explain any past problems or issues with your credit, employment history or asset disposition. • Pay close attention to an e-mail you receive from your lender or from escrow. Sign all documents immediately and return them promptly. 7. How long will it take to process my loan? In general, the time-frame will depend on the work load of your particular lender and some other issues. Your lender will need to verify certain things in writing such as the payoff amount on your current home if there is one, and the time it takes for inspectors, appraisers, or other professionals that are required to process your escrow. Generally a window of about 30 to 45 days is quite common. 8. What are the guidelines for loan qualification? This will depend on the type of loan you are applying for. For instance, to obtain a VA loan you must have served in the military. Reverse mortgages are available only to older borrowers who have equity of a certain amount in their homes. Your lender will be able to give you an idea of what is required for your specific loan. 9. Who will decide who my title and escrow companies will be? Generally, this is not up to your lender. This is a decision that will be made between you, your seller, and your respective real estate professionals. It is usually best to follow the recommendations of your real estate broker. He or she will have a history with particular title and escrow companies and will know exactly what to expect of them. 10. Is my loan likely to be sold? This can be very unpredictable but is quite common. There is nothing to worry about and both the old and the new lender must notify you in writing well in advance if this is going to occur. Finance Your Palm Springs Area Dream Home.